Digital marketing is a fast-growing industry; increasing use of the internet has increased the demand for digital markets. Currently, there are several institutes in Kolkata that provide digital marketing training to candidates. Experienced faculties: We have to check the qualifications of the members of all the faculties and their professional experience. Course modules: You have to check all the course modules that they are providing to you that fill your requirement or are sufficient to increase digital marketing skills. Batch size: clock size is also the main factor; you only need to select between 4 to 5 members, the only reason behind this is that during the class you can ask all of you where there is a doubt. Charges: You should also get the fees, whether you can spend or not, and choose accordingly. Interview / Certification Preparation: You have to ask them how to prepare for the interview or certificate. Placement Assurance: You are doing all the job purposes or for this course of business, so you have to check the previous records of the students where they give place for it. You can also check reviews. Rate and review: You need to know the reviews of the students in the previous batches. 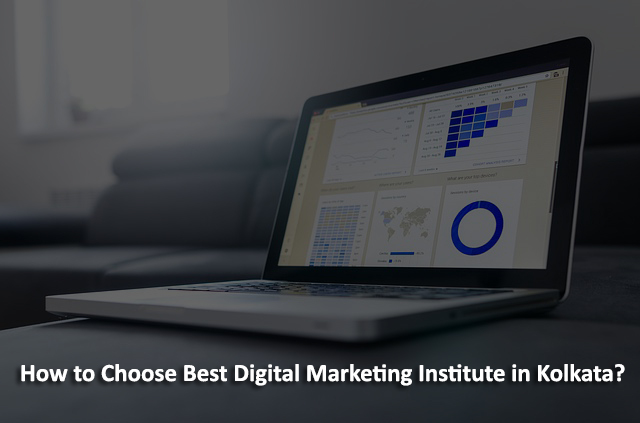 You can select that institute for your digital marketing course in Kolkata. According to all the qualities which I had previously discussed in this reply.